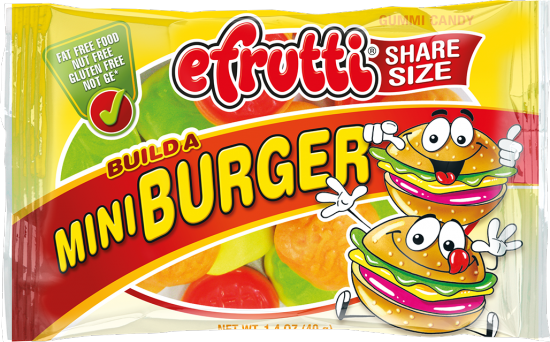 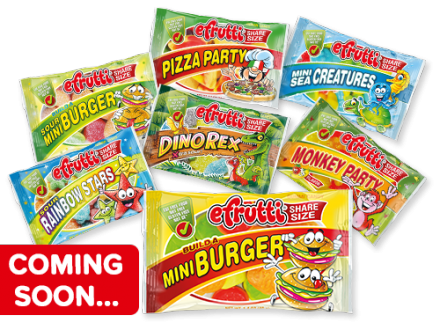 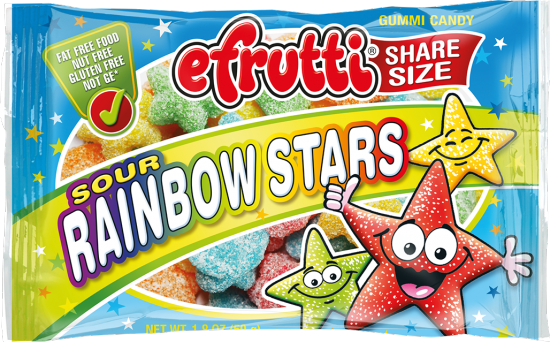 Life is a treat with ... our new efrutti SHARE-SIZE bags. 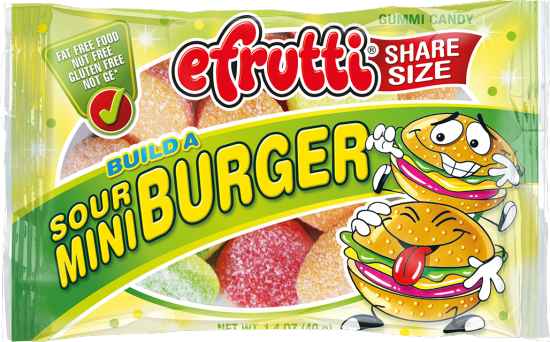 With 7 different items you may choose between our classic Mini Burger and Sour Mini Burger to build your own candy burger. 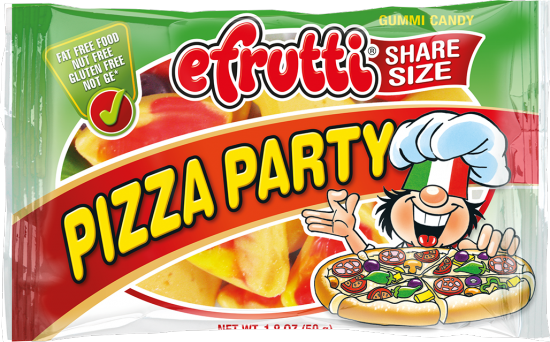 Why not enjoy some Pizza Slices or have a Monkey Party in your car? 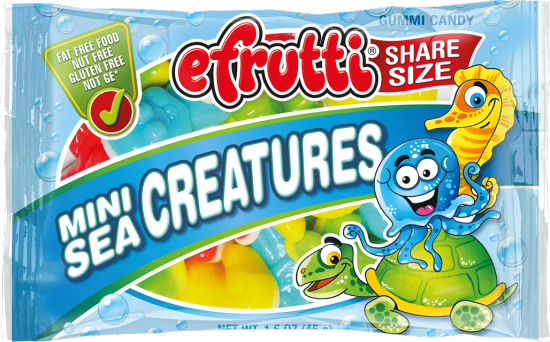 Our Mini Sea Creatures are just awesome! 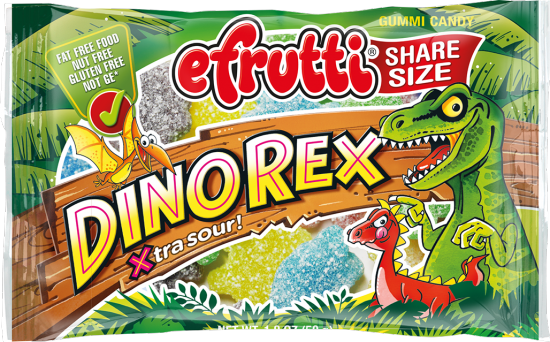 For a sour soft chew experience, try our Dino Rex or Sour Rainbow Stars. 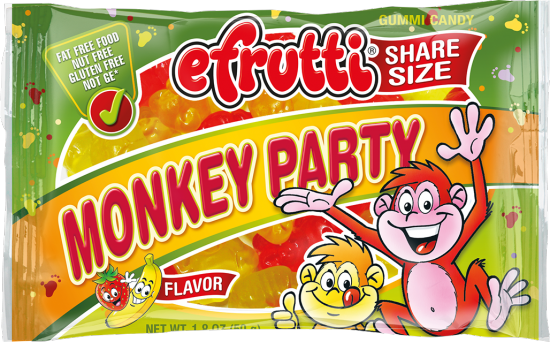 And remember: with candy you always make more friends!